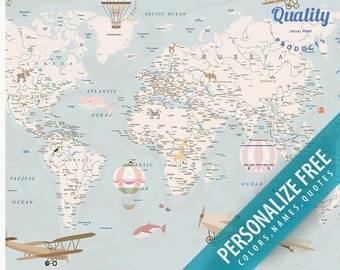 You are welcome to add any text, quote, names or dates here. I will send you a preview for confirmation before printing. 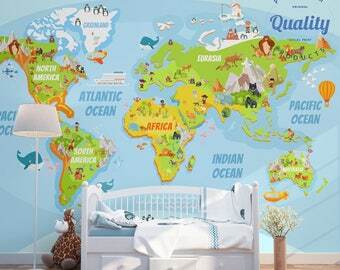 Decorate your kids room walls with this unique highly detailed world map wallpaper. 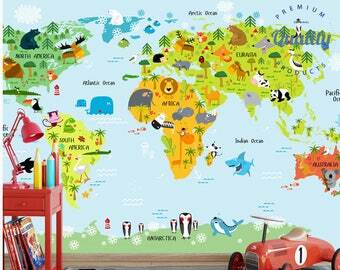 Educational world map wallpaper for girls or boys nursery. 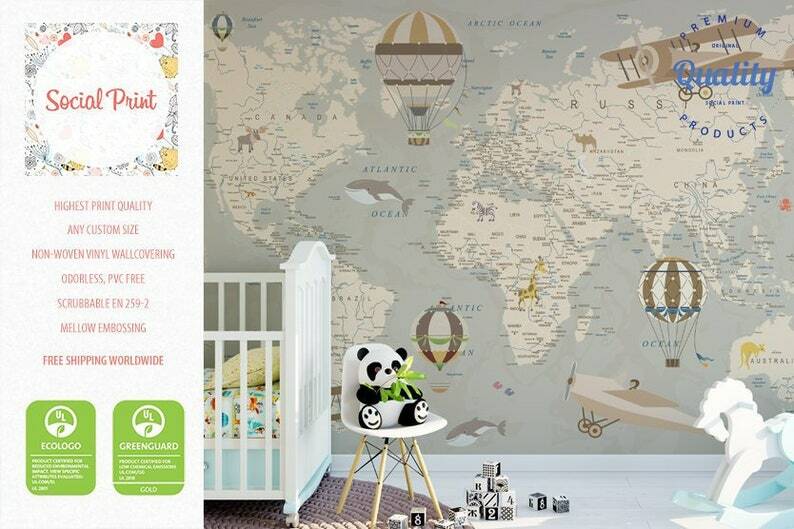 Best nursery decorating idea is here, make a unique design to nursery walls! Any size is available. FREE preview before ordering. 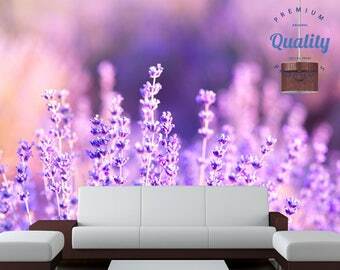 Please send your wall size to get a FREE 3D preview and quote. 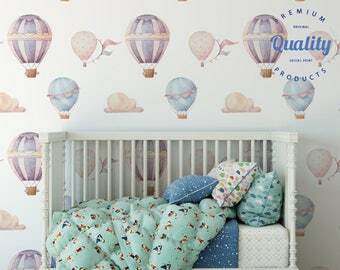 ★ Printed using HP Latex inks which are UL ECOLOGO®, UL GREENGUARD GOLD Certified, prints meet AgBB criteria, odorless, scratch-less, water resistant. 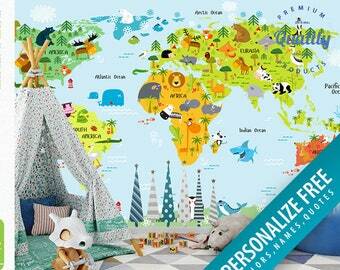 ★ Printed on Premium quality BN International (Netherlands) non-woven wallpaper. ★ PVC free. Eco friendly. No solvent inks! 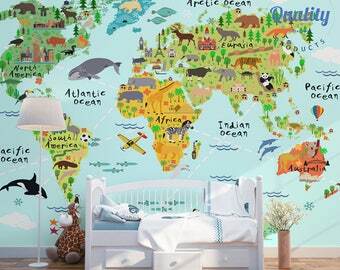 Perfect for children room. ★ The item will be shipped carefully packed in bubble wrap and cardboard tube. [*GREENGUARD Gold Certification (formerly known as GREENGUARD Children & Schools Certification) offers stricter certification criteria, considers safety factors to account for sensitive individuals (such as children and the elderly), and ensures that a product is acceptable for use in environments such as schools and healthcare facilities. It is referenced by both The Collaborative for High Performance Schools (CHPS) and the Leadership in Energy and Environmental Design (LEED) Building Rating System. 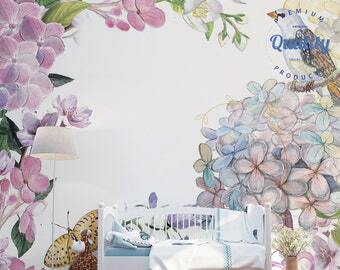 There are many benefits for the professional as well as the do-it-yourself when installing non woven wallpapers. They are the most user friendly and eco-friendly wallpapers on the market today, they are incredibly easy, admirably quicker and requiring less efforts to install. 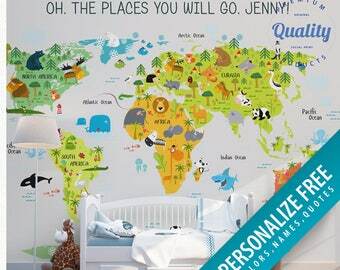 This type of wallpaper neither expands nor contracts, so they do not change their size. 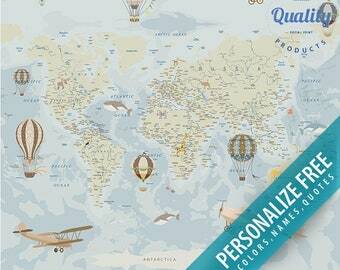 There is no need to book the wallpaper and let it relax, like many wallpapers on the market. You will not find any seams with this type of wallcovering. 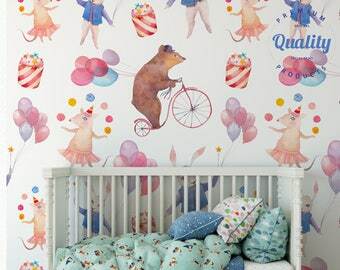 Wallpaper seams are so easy to work, they simply disappear. 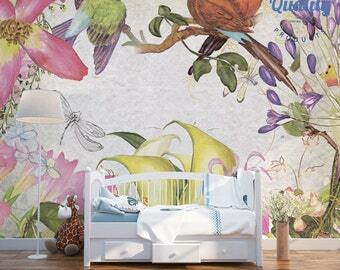 You can easily reposition the wallpaper while installation. Our rolls are 42 inches wide and we offer any length to fit your needs. They overlap so the design works across the wall. I love to talk, please contact me for more information or customized order, I am open for price discussion on custom orders. Item is beautiful. Had horrible luck with shipping and first product being lost but when it finally got here I loved it! The shipping date was a couple of days late from the initial estimated date, but ended up being delivered early by a couple of days. The product was perfect, and even though I put it on over a textured surface it looks great. We will print any custom size you want! Posters & Canvas Prints: If you have a suitable frame size for the print you want, please let me know and we will make the exact size to match it. 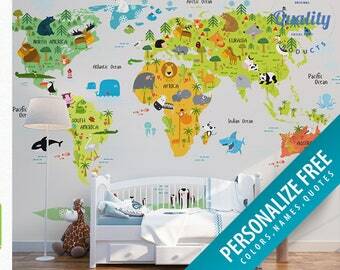 Wallpaper: Please send your wall size (Height and Width), we will customize any wallpaper to your dimensions. Please contact us after or before your purchase, we will always prepare and send you a free preview before printing upon request. Wholesale orders welcome! Special prices and conditions will apply. Any customization is FREE: size, material, colors can be made to any of the listed items as well as we can design and print anything you wish that is not listed in the store. We love making unique prints! Free Shipping and Delivery time. We offer 'Free Shipping' for most of our items. In this case we use Standard Shipping method with Latvia Post. All items have tracking number and can be tracked online. Please note - estimated delivery time in case of free shipping option highly depend on the season of the year and we cannot guarantee same shipping time during high season, i.e. Christmas time. Customs processing at the country of destination may also be the reason of delays. In some cases, Standard Shipping may take up to 30 days after shipping and in this case we can open a dispute with our local shipping provider, not earlier. If you need your item to be delivered faster please choose Shipping upgrade option during checkout to receive your item within days.